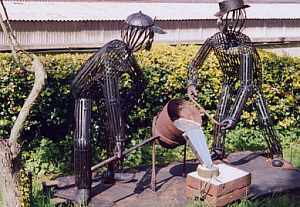 Gomme’s Forge is to be found tucked away behind the cottages in Foundry Lane, Loosley Row, Buckinghamshire. 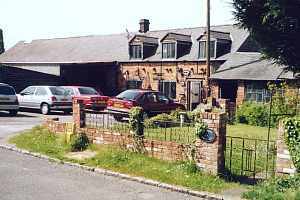 It is one of the longest established businesses in the district, although early records have been lost in the mists of time. However, it is known to have been in operation at least as early as the mid 19th century, when John Gomme was the proprietor. 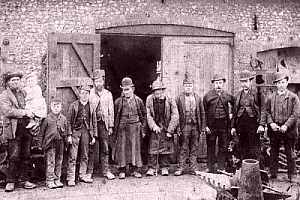 At that time about sixteen persons were employed, including smiths, farriers, iron founders, pattern makers, carpenters, wheelwrights and even a millwright. Much work was obtained from the local agricultural industry for horse-drawn machinery and later the maintenance of stream traction engines. As the needs of the farming industry slowly began to decline, attention was turned to the manufacture of early band saws. 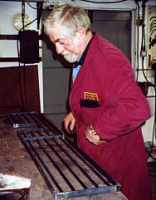 Supply of castings for heating stoves was also undertaken. Both these items were for the furniture factories of High Wycombe, the latter for space heating and kiln drying. With ever-changing times and customer requirements, Gomme’s Forge today specializes in aluminium casting and wrought iron work. 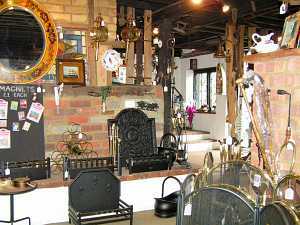 Attractively displayed in the Loosley Row Showroom are a variety of wrought iron items produced in the Forge. 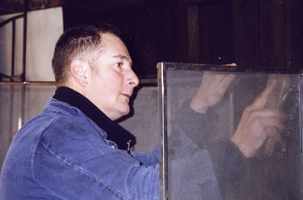 These include fire baskets, canopies, screens, spark guards, and curtain rails. 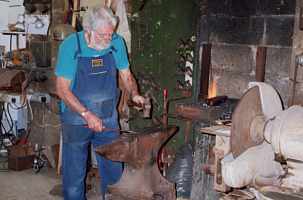 Gomme's Forge is pleased to offer a unique 'one off ' service to prospective clients. and the late Mr. Frederick Baker.